Deal with someone locally on your VA loan instead of a person behind a 1-800 number. Honest, straight-forward service right here in Kentucky. A minimum of 1 credit score is required. A standard Tri-Merge Credit Report is generally required; however a Mortgage Only Credit Report will also be accepted for IRRRLs ONLY so long as it includes valid FICO scores. An NOV (Notice of Value) from VA is required. Individual county loan limits may differ. You can find the link to determine loan limits for the subject property county here. The maximum potential loan amount for a purchase transaction with full entitlement is $1,094,625. Loan amounts up to $1,500,000 are allowed as long as the VA guaranty plus the veteran’s down payment and/or equity equal 25% of the lesser of the sales price or Notice of Value (NOV). Under certain conditions (see below), Non-IRRRL refinance transactions are allowed up to 100/100 LTV/CLTV. Refinances not meeting these conditions are limited to a maximum 90/90 LTV/CLTV of the property value shown on the CRV or NOV plus the cost of any energy efficient improvements (up to $6,000) plus the VA Funding Fee. The VA funding fee = .50. The cash-out loan may be paying off a current mortgage loan (VA or otherwise), a second (seasoned or unseasoned), and/or another non-mortgage debt. A minimum of 25% of the loan amount must consist of available guaranty. If less than 25% guaranty is indicated on the Loan Guaranty Certificate (LGC), a calculation worksheet must be enclosed indicating the calculations used to determine the full 25% guaranty. Note: the maximum guaranty for loan amounts > $417,000 varies depending upon the location of the property. Veterans who are rated by the VA as eligible to receive compensation as a result of pre-discharge disability examination and rating. When repayment will begin within the next 12 months, calculate a 5% yearly payment. Then divide that by 12 to get the monthly payment. If the reported payment on the credit report is higher than the above calculated payment, the payment on the credit report must be used. A lower payment reported on the credit report can only be used if corroborated with an official statement from the student loan servicer(s) confirming the loan terms and payment information. This statement can be no more than 60 days old at the time of VA loan closing. The combined total of Credit Report Fees and AUS charges cannot exceed $100. The only time a Veteran can be charged with both Credit Report Fees and AUS charges is on AUS “Refer” cases. No 30 day lates on any installment loans during the 12 months prior to the Short Sale. Both the loan being refinanced and the IRRRL meet all other VA requirements. 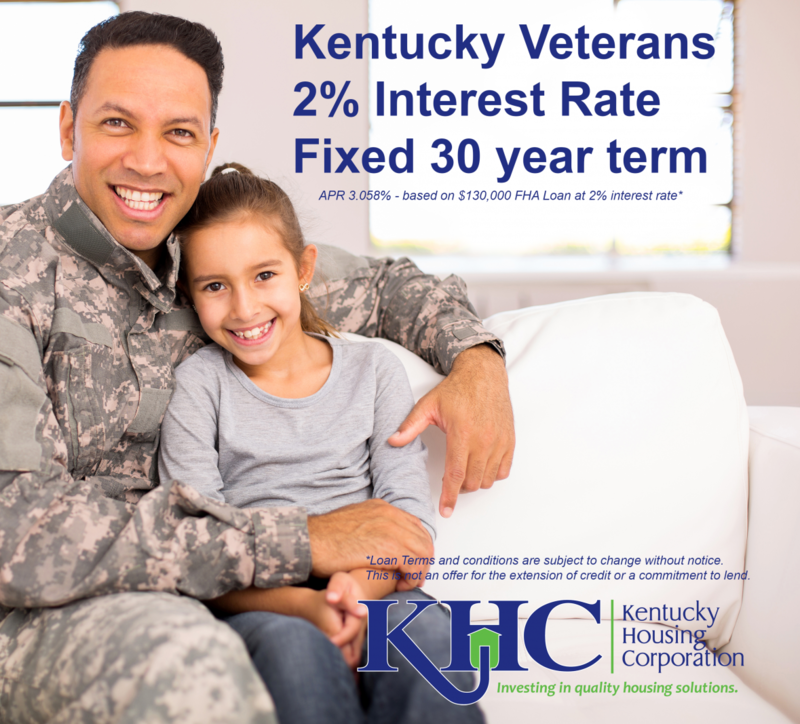 Mortgage loans only offered in Kentucky.